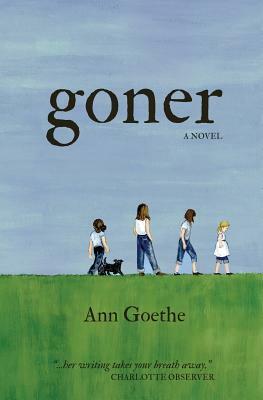 Goner follows the lives of four sisters from a progressive household in the Deep South. The narrative begins with their northern mother's arrival in a Louisiana army town as a young newspaper reporter in 1943 and her hasty, unconsidered, marriage to a genteel older man. The Sobral sisters grow up listening to the haunting calls of Mississippi riverboats and the rumbling of sugar cane trucks down the River Road; they attend their small town's black church, and endlessly speculate about the relationship between their beautiful, remote mother and kindly, optimistic father. The story follows the girls' childhood adventures--some hilarious and some breathtakingly dangerous--in a time and a place where adults pay little attention to the wanderings of children. In 1980, after their beloved and enigmatic mother's recent death, the four sisters return to the River Road house for their heartbroken father's deathwatch. There, on their last night together, one of the sisters uncovers a devastating secret. Ann Goethe's novel MIDNIGHT LEMONADE was a finalist for the Barnes and Nobel "Discovery Prize." She is a published playwright; her poems, essays and short stories have appeared in numerous journals and magazines. She lives in Virginia on a peninsula encircled by the ancient New River.